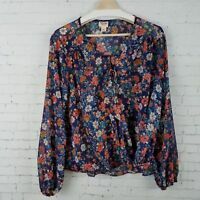 NWT VINCE CAMUTO S & XL BLACK w/Rose & White Floral Hi-Low Lg Sleeve Blouse $99. NEW!! 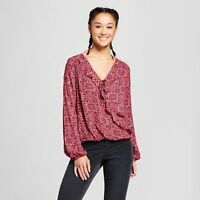 Women's Printed Long Sleeve V-Neck Top - Mossimo VARIETY.